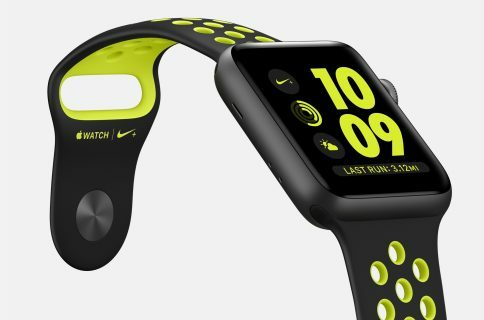 As Apple earlier this morning began approving HealthKit-powered apps following yesterday’s release of the iOS 8.0.2 software update, makers of health and fitness software, life-tracking programs and food intake tracking apps are now releasing updates adding HealthKit compatibility. Calorie Counter & Diet Tracker, a free of charge iPhone and iPad app by MyFitnessPal, has been bumped to version 5.6.6, for example. Taking advantage of Apple’s HealthKit in iOS 8 which makes it easy for supported health and fitness apps to work together and share data through the stock Health app, the refreshed MyFitnessPal app now lets you add your meal summaries and sync your weight with HealthKit, as well as add excercices from other HealthKit-enabled apps to your diary. A fitness buff like yours truly depends on various health and fitness apps on an everyday basis. It’s always frustrated me that the data stored in the Nike Running app can’t be shared with other apps, or that my heart rates recorded by Azumio’s Instant Heart Rate live in their own silo. 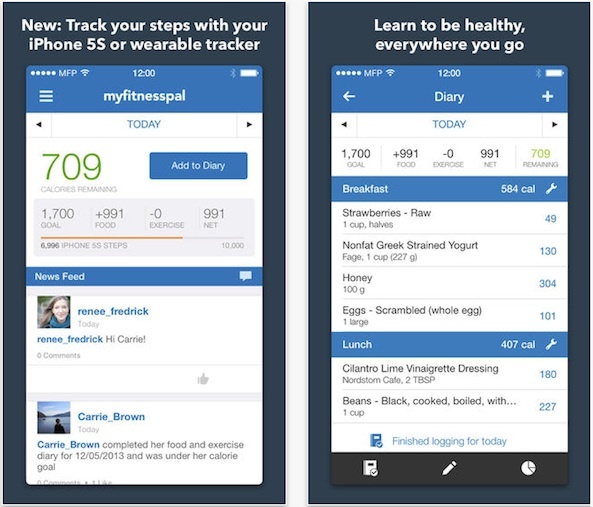 MyFitnessPal’s app offers a glimpse into the kind of integration we can expect from HealthKit in the future. It shares meal data from MyFitnessPal with other apps. And it also lets you share weight data from an iOS-connected accessory that communicates with HealthKit. In a nutshell, HealthKit provides the glue binding these apps together. And by using the data stored inside each app, HealthKit can quickly build a comprehensive profile of your well-being and daily activities. putting everything in one central location, the Health app. 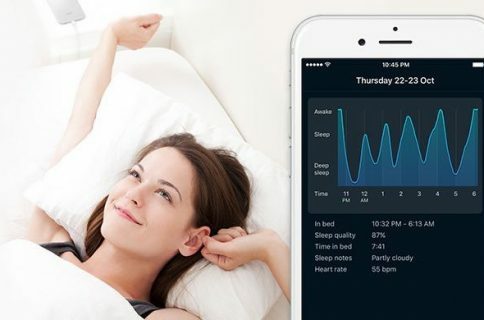 And with a robust set of controls allowing privacy-minded users to choose what data can be shared and how, on a per-app basis, I’m convinced that HealthKit will prove a huge hit with consumers. Add your meal summaries to HealthKit — You can now share meal data with HealthKit/connected apps every time you add food to your diary. Sync your weight with HealthKit — If you have an app that records your weight in HealthKit, we can automatically sync that with your MyFitnessPal account. Likewise, if you track your weight in MyFitnessPal, we’ll keep your HealthKit data updated. Add excercices from other HealthKit apps to your diary — When you excercices with an app that saves workout data to HealthKit, we can adjust your diary calorie goal for you. Resolved an issue requiring some users to log in repeatedly. Resolved and issue preventing iOS 6 users from logging exercise and some meals. In fact, MyFitnessPal is aware that privacy is of utmost importance to users so they’ve disabled health and nutrition data sharing by default. 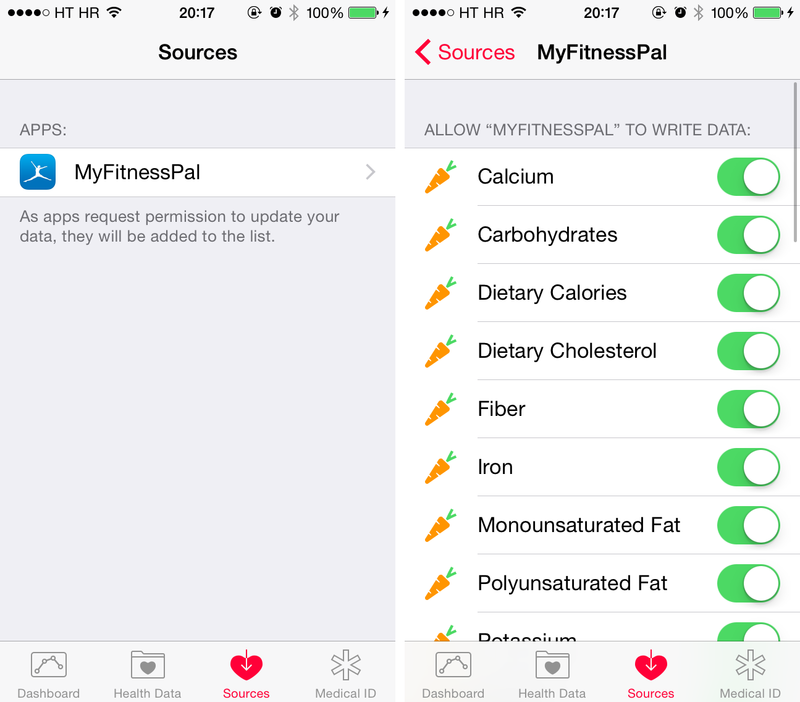 To enable sharing, open MyFitnessPal and navigate to Settings > Sharing & Privacy > HealthKit Sharing within the app. You should see options to grant permission to read and write various nutrition and exercise information via HealthKit. 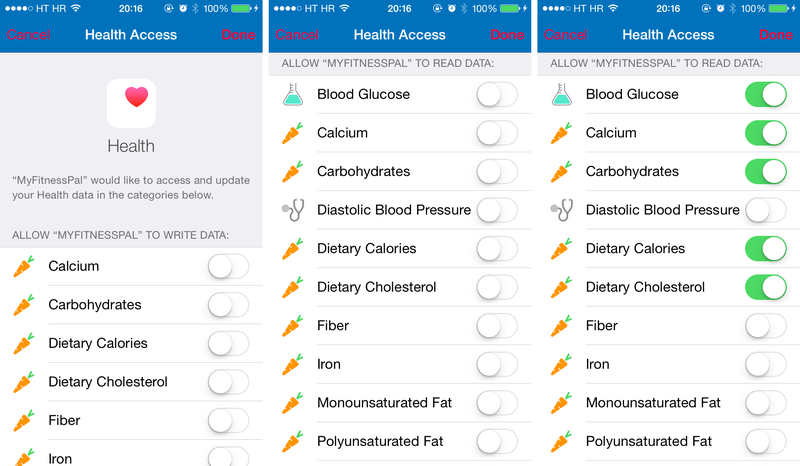 Even after granting MyFitnessPal permission to share data with HealthKit, the Health application allows you to change permission at any time, as well as control which HealthKit apps can use that data. Simply go to the Sources section of iOS 8’s Health app, as depicted below. Calorie Counter & Diet Tracker comes in at 41.6 megabytes. The universal app requires an iPhone, iPod touch or iPad running iOS 6.0 or later. HealthKit focused features require iOS 8.0 or later.